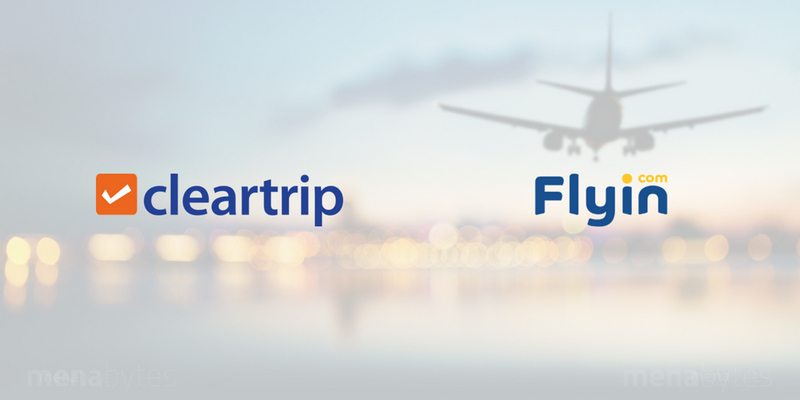 Cleartrip, a leading travel aggregator in Middle East and India has acquired Saudi online travel agency Flyin. Terms of the deal were not disclosed. Founded in 2008, Flyin was one of the first online travel agencies in Saudi Arabia and has been the leading player in the market ever since. With presence in Saudi Arabia & Egypt, they sell flights, hotels and travel packages, currently having over 320,000 hotels and 450 airlines on their platform. What’s perhaps most interesting about Flyin is that they have not raised any venture capital since in almost ten years of their existence. According to a statement by both the companies, their combined market share in the Middle East is over 60%. It is the first ever acquisition by Mumbai-based Cleartrip that has been in the business since 2006 and has raised over $75 million in funding up to this point. They had expanded to Middle East almost six years ago amid tough competition in their local market. “The transaction represents the culmination of our search for a strategic partner that has outstanding market association in Saudi Arabia and shares our business ethos and principles. We will leverage each other’s strengths to enhance product development and customer experience,” he added. It’s not clear whether Flyin will continue with its own brand or Cleartrip will take over. The deal is subject to regulatory and corporate approvals.